Glass Paints Fired on Tile. 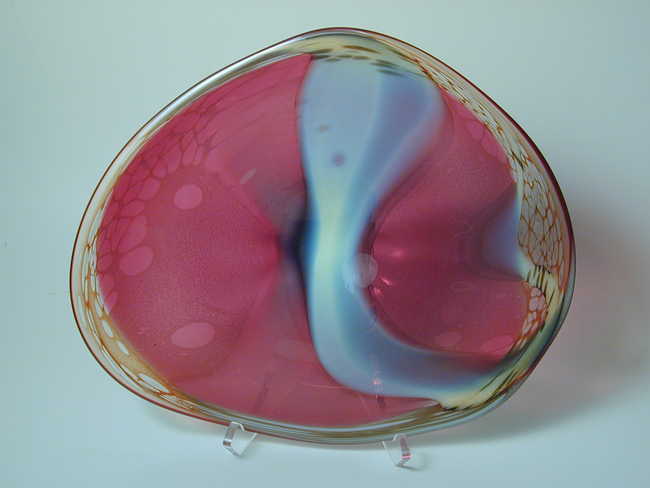 Platter , blown glass., 12"	x 12"
Blown glass. Gold ruby glass.